We’ve been discussing aspects of the signs and wonders movement in previous posts. The emphasis there is on manifestations believed to be from or of God. It would seem instead that there’s a great deal of demonic activity and self-delusion occurring. Anytime Self has the opportunity to be elevated, it will take advantage of a situation. Yet, the folks within the signs and wonders movement will tell you they are led by God daily, that they know and understand what His will is for them, and that He works His will in and through them as evidenced by those signs and wonders. This is their normal and they believe it should be the normal for all Christians. However, as introduced in our most recent article, Christians need to rethink the way we contemplate and seek God’s will. We noted that our theology – what we believe about God – informs our thinking and decisions when it comes to His will. Unfortunately, all too often, Christians seem not to know what the Bible teaches regarding His will or how to biblically discern it, so these same Christians (and we’ve all been there), will fall back on superstitious ways of trying to divine His will. The bottom line is that if we fail to read, study, and memorize His Word, we will be operating under our own energy and wisdom, which often amounts to nothing. Because of that we will tend to create situations that will likely fall under the category of “wood, hay, and stubble” (1 Corinthians 3:12-13), when we stand before our Lord at the BEMA Seat of Judgment. We also mentioned how often we Christians use the wrong verbiage regarding God’s will for our lives. We often speak of “finding” or “discovering” His will as though God wants to keep it secret from us. The biblical truth is that this does not appear to be the case. If not, then why do so many Christians seem to believe that He is stingy in revealing that will? We wind up turning ourselves into pretzels at times doing whatever we can to come up with the right combination of words or actions that will ultimately release knowledge of God’s will to us. There is actually a much better way, a far more biblical way; a way that, with continued practice and commitment, will allow us to learn God’s will far more naturally. We referred to Dr. Bruce Waltke and his book, Finding the Will of God in our last article. In this article, we’ll explain a few more of the concepts he covers regarding discerning God’s will. From this point, Waltke moves onto discuss what he believes is the truly biblical way in which all Christians should walk in God’s will. Waltke believes that God Himself has provided a “…six-point program of supervised care in directing His elect.” Waltke also believes the order in which we follow these six steps is extremely important. It should come as no surprise that Waltke’s first point is that Christians must read the Bible and this should be done on a daily basis. We should read it, study it, meditate on it, and memorize it. Doing all of this will bring us closer to God since His Word is “…living and active, sharper than any two-edged sword, piercing to the division of soul and of spirit, of joints and of marrow, and discerning the thoughts and intentions of the heart,” (Hebrews 4:12 ESV). What this means is patently obvious. As we read and study God’s Word, it has the power and will teach, rebuke, correct, and train us in the way of righteousness. That way of righteousness means living God’s will in and through our lives. If we are unable to daily read His Word, it cannot do any of these things. The result is that we will constantly be relying on the way we feel about God, about our lives, and about how we think God might be directing us. But what is also very interesting about the Bible (reading it and studying it), is that it provides us with knowledge of many aspects of God’s will for our lives. Waltke brings this out frequently. He cites 1 Thessalonians 5:15-18 where Paul outlines some very basic instructions for what every Christian should be doing; how we should be living. According to Paul, we should always seek after the good, we should always pray and rejoice, we should not repay evil with evil, and we should be thankful in all situations. These things are God’s will for us. No Christian is exempt from them. But how is this done? When someone wrongs you as a Christian, the natural (fleshly) tendency is to want to get back at them. We want to repay their evil with some evil of our own. Is this how Jesus responded? Never. If we are calling ourselves followers of Jesus or believers, we must obviously take the ramifications of His words and actions seriously enough to want to see them duplicated in our life, right? So when faced with the temptation to repay evil with evil, what do we do? If we have read and even hidden 1 Thessalonians 5:15-18 in our hearts, during that time of temptation to react with evil, the Holy Spirit can remind us of that and we can actually pray Scripture back to God asking Him to help us overcome that temptation. Two things will happen. First, the fact that we are speaking Scripture will act as a rebuke to the forces behind the temptation, including our flesh, which has been crucified with Christ. Second, repeating the Scripture will also allow the Holy Spirit to bring it alive within us so that we do not give in to the temptation to pay back evil for evil. But what if you don’t have any verses hidden in your heart? You are left with only prayer and your hope that God will be able to help you without the tremendous weapon of the Scriptures. Can you imagine going into battle without a weapon? Without a helmet to protect your head? Can you imagine having portions of your body uncovered. No military person of today goes into battle without as much body armor as possible, along with the proper weapons to not only defend themselves but take out the enemy. This is what God has given us in His Word. Paul writes about it, clarifying his meaning to us. It is extremely important to take every available piece of armor into battle and every day we wake in this life, we enter the battle. Satan works to thwart us and God’s plans and purposes. Satan will do whatever he is allowed to do to ensure our defeat. Christians too often make this very easy by not reading the very Word of God that is alive, active, and able to discern the thoughts and intention of the heart. We’ll pick this up in our next article. Join me then but in the meantime, please start reading His Word daily. Study it and memorize it so that the Holy Spirit can use it when you face temptations that will come to you. This is what Jesus did. He was prepared and so also should we be prepared. Read His Word. Study it. Memorize it. Meditate on it. Know God through it. Entry filed under: Atheism and religion, christianity, Cultural Marxism, Emotional virtue, Religious - Christian - Prophecy. Tags: bruce walthe, finding the will of god. 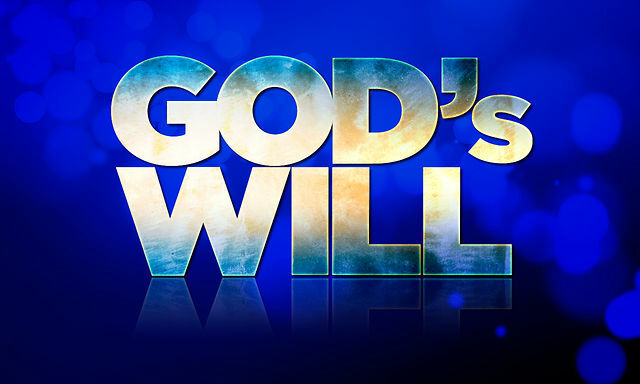 Knowing God’s Will: A Better Way than Signs and Wonders	Knowing God’s Will: Living It!